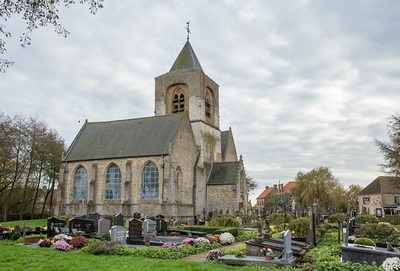 Steenkerke les Furnes Churchyard is located 5 km south east of the town of Veurne on the Steengracht west, a road leading from the N8 Iepersesteenweg. From Veurne town centre the N8 leads for 3 Km to the left hand turning onto the Steengracht west. 2.5 km along the Steengracht West lies the village of Steenkerke. 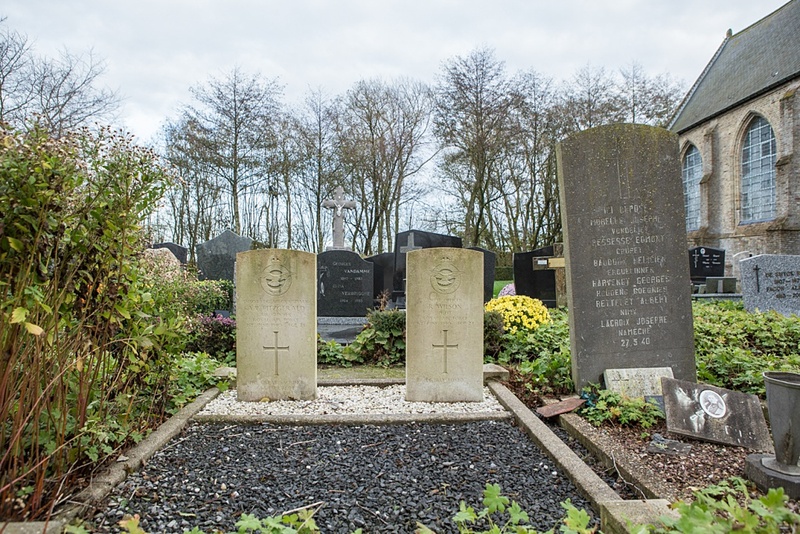 The churchyard itself is located on the left hand side of the road in the village itself. Steenkerke Churchyard contains the graves of two Commonwealth airmen of the Second World War. 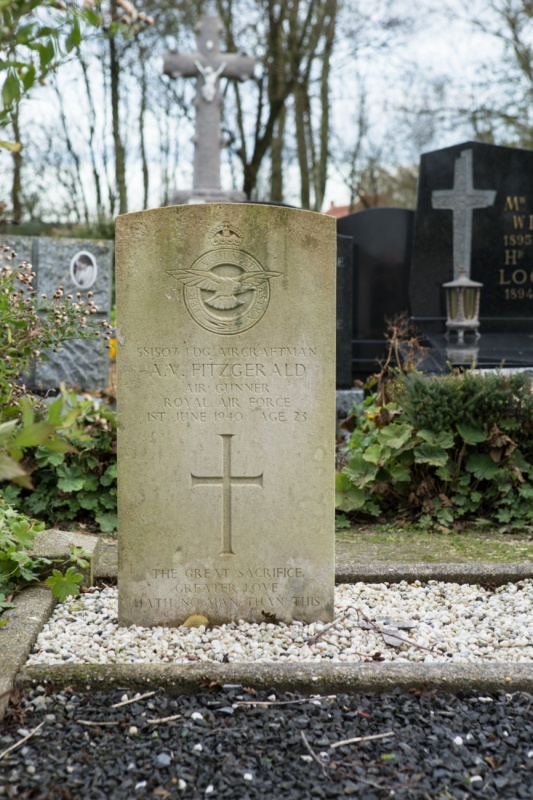 581507 Leading Aircraftman Arthur Vincent Fitzgerald, Air Gunner in 26 Squadron, Royal Air Force, died 1st June 1940, aged 23. 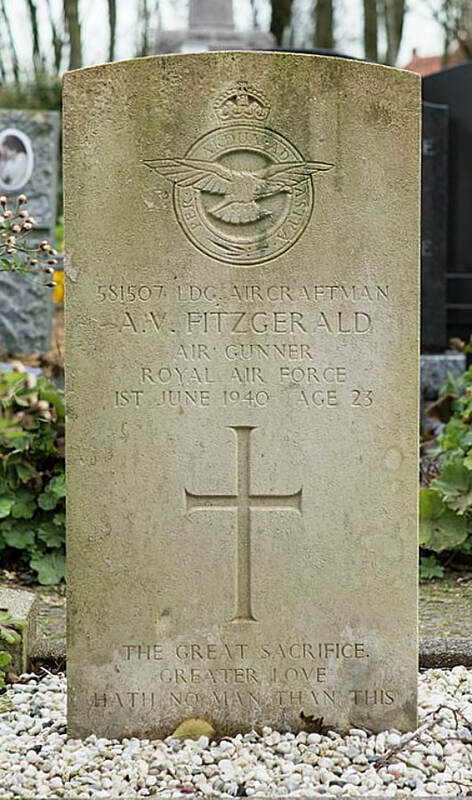 Son of Vincent and Alice Fitzgerald, of Liss, Hampshire. 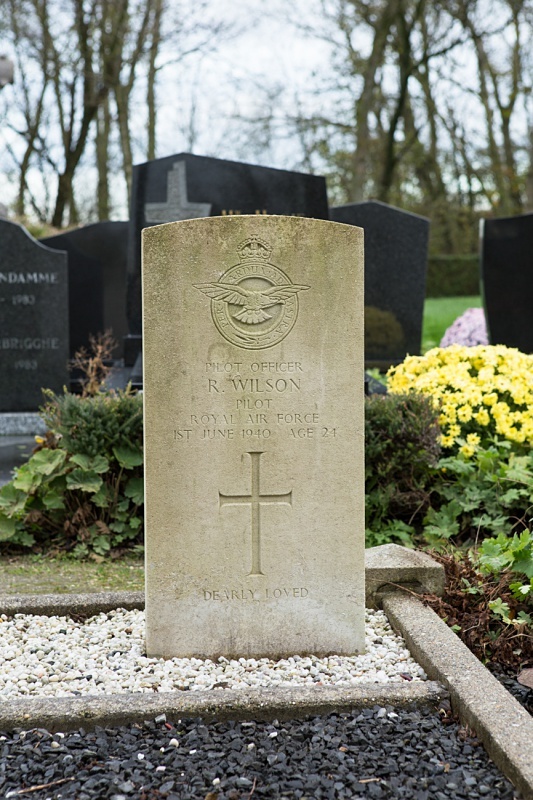 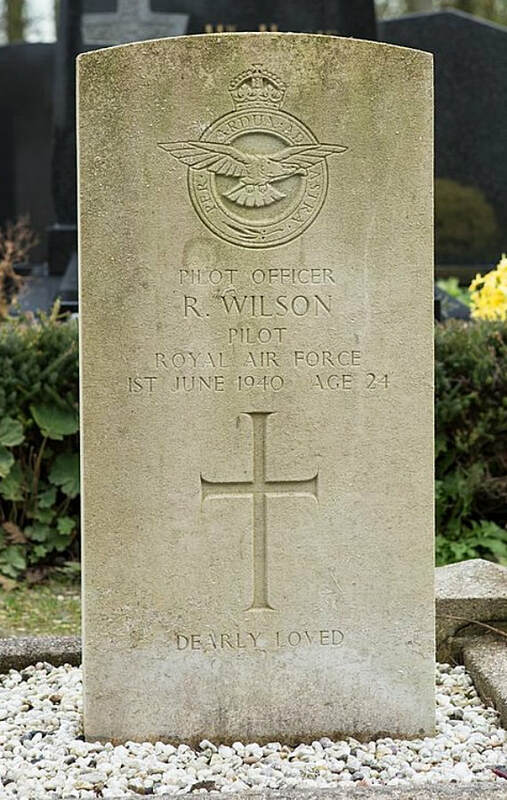 73014 Pilot Officer Robert Wilson, Pilot in 26 Squadron, Royal Air Force Volunteer Reserve, died 1st June 1940, aged 24. Son of Mr. and Mrs. R. W. Wilson, of Newland, Hull.